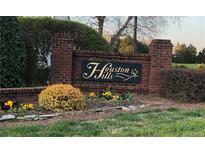 Below you can view all the homes for sale in the Houston Hills subdivision located in Charlotte North Carolina. Listings in Houston Hills are updated daily from data we receive from the Charlotte multiple listing service. To learn more about any of these homes or to receive custom notifications when a new property is listed for sale in Houston Hills, give us a call at 704-350-2820. 2 wall mounted TVs, a large washer and dryer and plantation shutters will all convey with the home. MLS#3499721. Wilkinson ERA Real Estate. To make matters even better, this property qualifies for the ZeroPlus mortgage product - which has no lender fees, no origination fees, and potentially $1,000 in 3rd party lender credits!! ! MLS#3496404. Keller Williams Ballantyne Area. Don't miss this opportunity to make this your home. MLS#3490618. Sellstate Exclusive Realty. Just minutes away from UNCC, shopping, I85 & 485, this is convenience at its best. MLS#3480688. Keller Williams Union County.